Join the Travel Hag Biking adventure through three of the prettiest historic towns in Talbot County – and the Eastern Shore. What could be better than biking on flat, unbusy roads that weave in and out of towns filled with shopping, great food, art, historic architecture and tree-lined streets? This 29.6 mile bike ride even includes a ferry ride across the Tred Avon River. According to the Talbot County Bicycle Map produced in partnership with the State of Maryland, The US Dept. 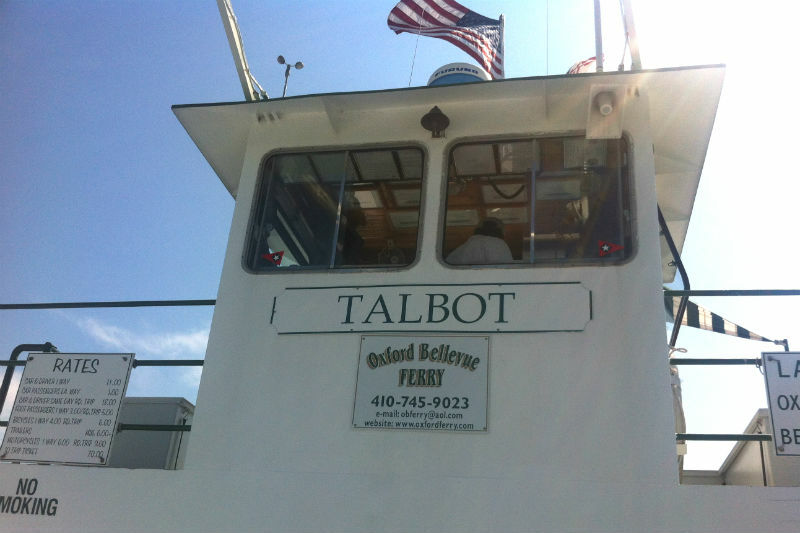 of Transportation and Talbot County Dept. of Parks and Recreation – this route is one of the Top 25 Cycling Routes in the USA. And no wonder. Its comprehensive layout includes so much that cyclists enjoy. Download pdf of the Talbot County Bicycle map. Review the Oxford / St. Michaels trail. We will meet at the Chesapeake Bay Maritime Museum parking lot at 9:30 am. Then the group will cycle through St. Michaels to the Town of Easton and meet those who have opted for the shorter route (option 2) at the Tidewater Inn. Then the full group will make its way to the historic town of Oxford and have a wonderful lunch at the Robert Morris Inn. The group will have some time to spend in Oxford – shopping, loking around town. Then the entire group will board the Oxford Bellevue Ferry and deboard in Bellevue. 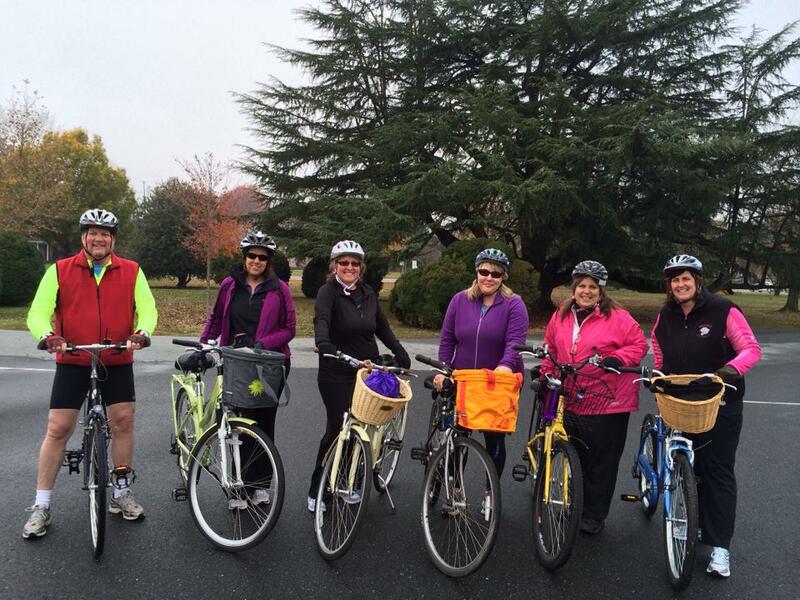 From there the group will cycle the 7 remaining miles to St. Michaels, completing the loop. Expected return time is 4:30 pm. This is a leisurely ride with stops in between and approximately 2 hours in Oxford to eat and relax a bit. For those uneasy about doing the full loop, Option 2 allows you to meet the group in Easton (at the Tidewater Inn) and then complete the route as described above. Once the group finishes in St. Michaels, Mindie will be glad to drive you to Easton to get back to your car (15minutes). You will then have to drive back to St. Michaels to retrieve your bike. Cost for both routes is the same. The cost is covering lunch and ferry ride, which are included in both options. For cycling wooses a lunch-only option is available. Meet a group at the Bellevue Ferry landing (plenty of parking) at 1:00 and take the Ferry to Oxford. Meet the group for lunch at the Robert Morris Inn, take a walk around Oxford, then take the ferry back to the Bellevue parking lot with the Travel Hags. 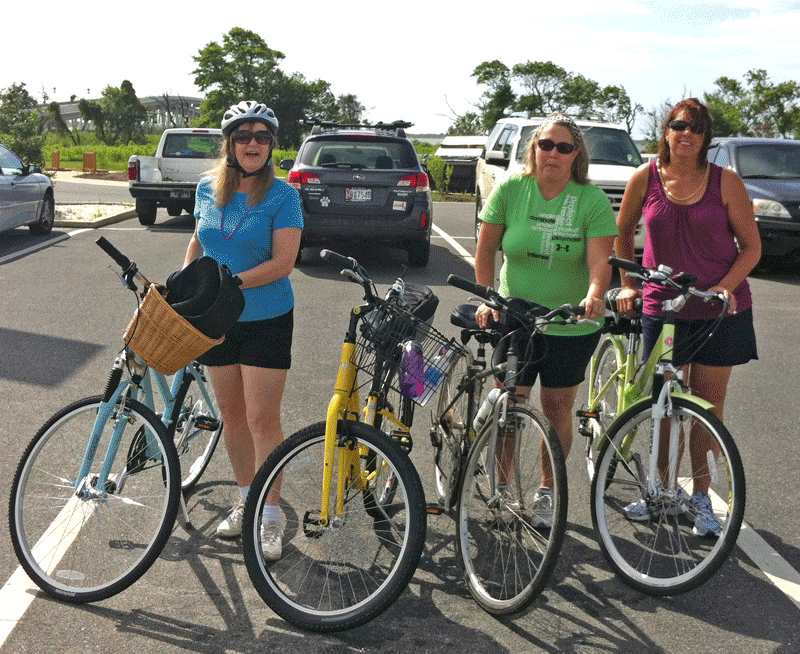 You go on your way by car and the Travel Hags will bike back to St. Michaels. Same price as cost covers lunch and ferry ride. Along the way there will be a few quick stops where ghost walk guide, Mindie Burgoyne will offer the ghostly history of five haunted sites – 2 in St. Michaels, 2 in Easton and 1 in Oxford. 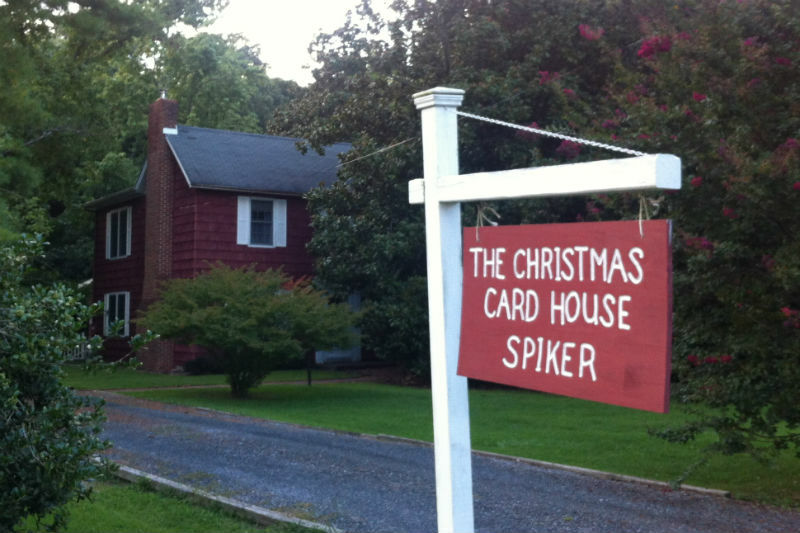 Sites are – Kemp House, Old Brick Inn, Talbot Court House / Jail, Foxley Hall (most haunted house in Easton) and the Christmas Card House (Oxford). Then hags and bikes will board the Oxford Bellevue Ferry – America’s oldest continually operational (privately owned) ferry – and head across the Tred Avon River. We’ll disembark in Bellevue then finish the ride traveling through Royal Oak (antique stores) where we’ll track down the oak tree hit by a cannon ball during the War of 1812. Yay! Historic trivia finds. St. Michaels is known for its shopping. Most stores stay open until 6:00 pm so there will still be time to shop, visit the museum, visit the St. Michaels Winery tasting room or walk the waterfront. Consider staying for dinner or spending the night. 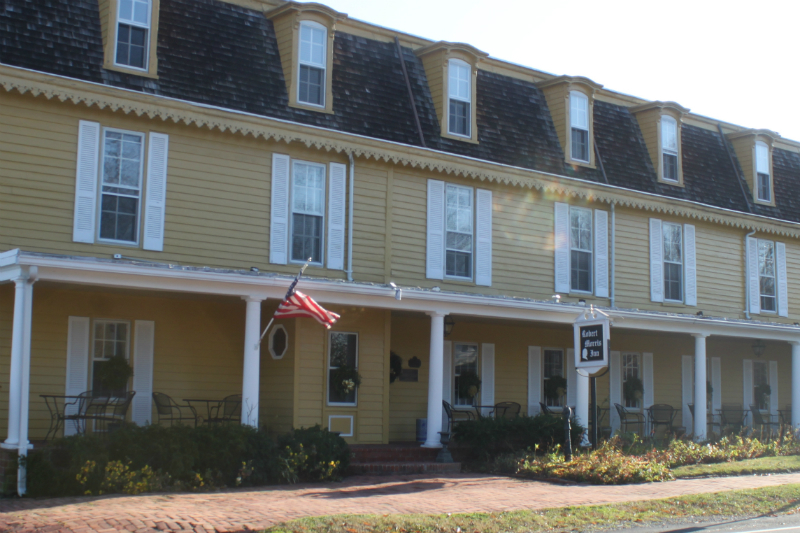 Cost includes stops at five ghostly / heritage sites with commentary, the ferry ride across the Tred Avon River, and lunch at Robert Morris Inn. Each attendee will also receive a Travel Hag souvenir decal. Advanced registration is required. Hag men are welcome! 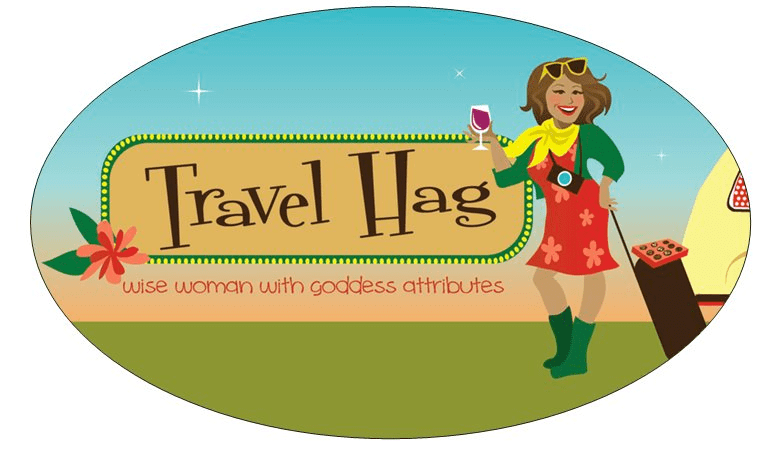 Each registrant receives a Travel Hag custom sticker. CANCELLATIONS – Cancellations made within 48 hours of the ride will receive full refunds. No refunds given within 48 hours of the ride, but all registrations are transferable (so you can sell or give your spot to someone else). REGISTER – Go to our Travel Hag Fall Bike Ride registration page to book your reservation for this event. Would love to have part of your Talbot county adventure include a kayak or stand up paddleboard tour of St. Michaels harbor or the san domingo creek. looks like a fun group.